A daring team of researchers squeezed themselves through a long vertical chute and descended some 40 meters beneath the surface. It was here inside the Rising Star cave, located in the Cradle of Humankind World Heritage Site about 30 miles (50 kilometers) northwest of Johannesburg in South Africa, that the researchers discovered one of the most important collection of hominins in the world – 1,500 bone fragments belonging to 15 skeletons. The remains clearly belonged to a human ancestor, and the team involved claims we’re talking, in fact, about a totally new hominin. The new species, which has yet to be confirmed (the researchers broke the news before intense scrutiny), was named Homo naledi, after naledi which means “star” in Sesotho, a local South African language. At first glance it looks like a Homo Erectus, a famous human ancestor which lived 1.9 million years and was first discovered in the 1800s when Darwin’s theory of evolution was still met with widespread skepticism. 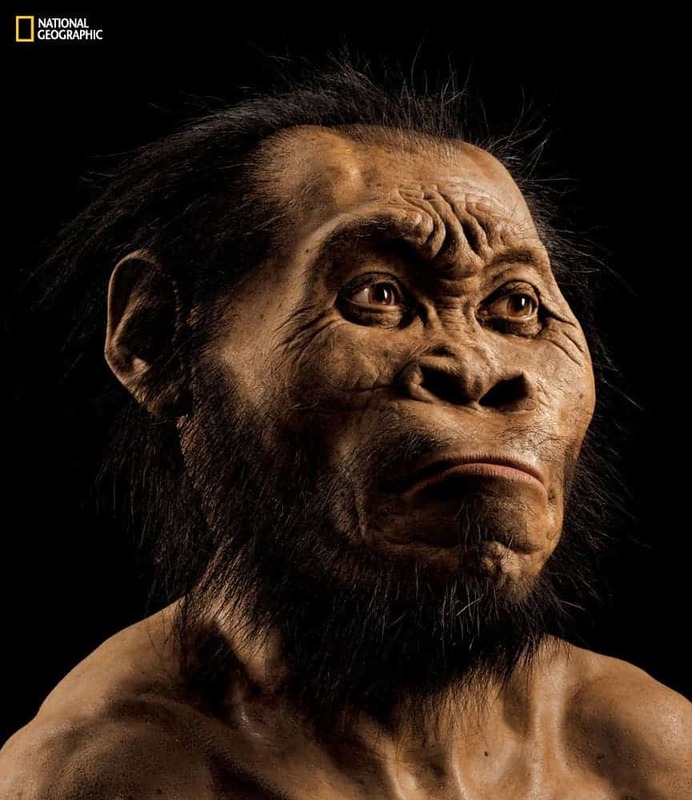 However, Lee Berger, a paleoanthropologist at the University of the Witwatersrand in Johannesburg and the lead researcher, thinks his team has actually come across a new species – showing both primitive and modern features, ape-like and human at the same time. More literally, Berger describes Homo naledi as “long-legged”, “pinheaded” and “gangly”. “Pinheaded” is a proper adjective. Homo naledi’s brain was the size of a gorilla’s or an orange. The rest of its body was also primitive, sporting an ape-like thorax and curved fingers suggesting it spent most of its time in trees. Other features are more modern, though: the hands were capable of shaping tools, the feet and ankles support upright walking, the researchers report in eLife (paper 1 and 2). The remains have yet to be dated since the bones weren’t trapped in any sediment. The only viable dating method is radiocarbon dating which would ruin the bones. Once all the collection is thoroughly described and documented, the dating will also follow. 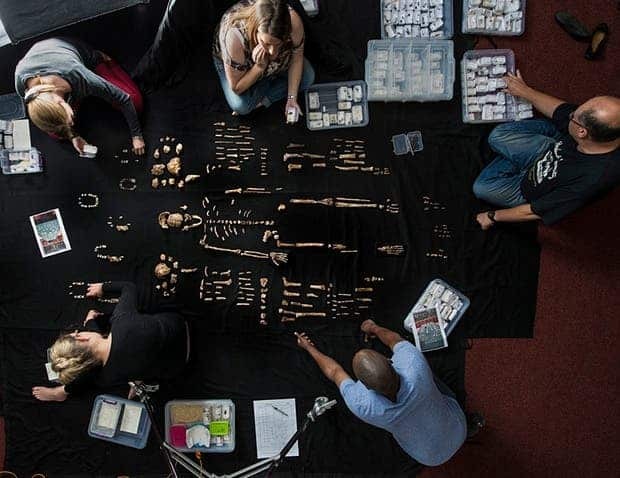 For now, Berger suspects the remains are about 3 million years old judging from the morphology of Homo naledi which should be pre-Homo Erectus in the evolutionary tree. This was no easy find. Berger first found in the narrow shaft entrance by accident while exploring the Rising Star cave in 2013. He threw a tethered GoPro camera and was startled to find he had recorded a skull. Within a month, he had assembled a team of 60 researchers to commence exploring, including six female researchers who had to be extra slim and tiny to fit through. Only these women could go down the shaft, descend the narrow entrance and recover the bones from the pit – some 1,500 bones and hundreds of teeth. A few thousand more are still there, according to Berger and will be retrieved in a follow-up expedition. Researchers also suggest that the pit may have actually been a burial site, meaning the bodies were purposely thrown there. 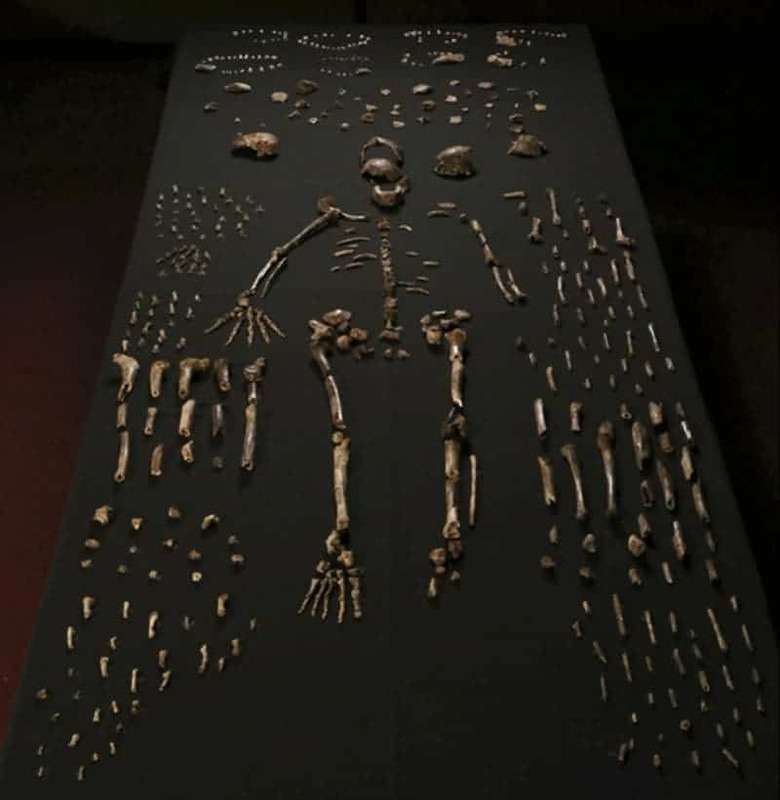 “We have, after eliminating all of the probable, come to the conclusion that Homo naledi was utilising this chamber in a ritualised fashion to deliberately dispose of its dead,” Berger said. It’s unlikely, Berger believes, that so many individuals went through the narrow shaft into pitch black darkness and then got stuck or died when water fell in or the cave itself collapsed. While the findings seem extraordinary, other researchers are more cautious. “Intentional disposal of rotting corpses by fellow pinheads makes a nice headline, but seems like a stretch to me,” said William Jungers, an anthropologist at Stony Brook School of Medicine in New York for The Guardian. Jungers isn’t convinced that the remains evidence a novel species either. These could be an isolated population of Homo Erectus, a ‘relic’ version which would make it more of an oddity and less of a ‘game-changer’. This was a National Geographic-funded project.